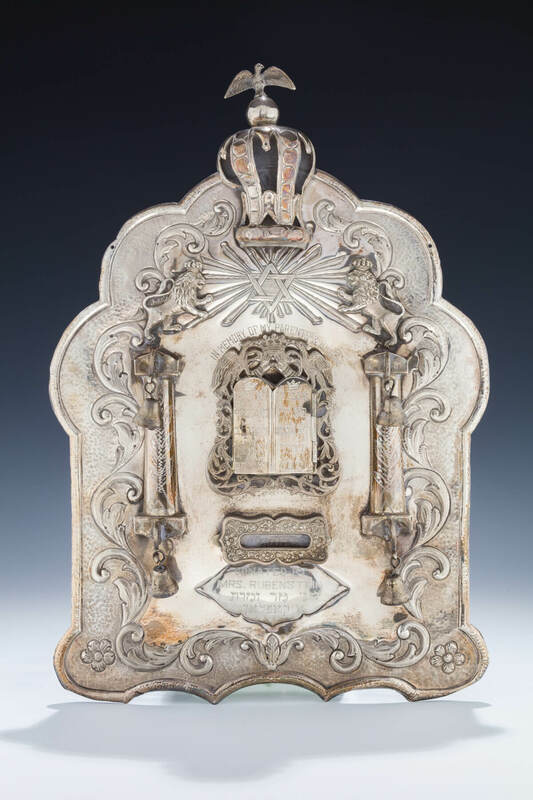 A MONUMENTAL STERLING SILVER TORAH SHIELD. American, c. 1920. Hand chased and hammered. Decorated with pillars, an ark, lions, a crown, a portion plaque and bells. Inscribed in English and Hebrew with donor information. 15.9” tall.